Snow has fallen from the sky in many places. The first snow almost always comes shortly after Labor Day in some states. Elevation, climate and many other factors determine whether or not a location gets snow and when it gets snow. 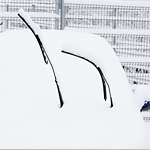 The car owner who worries about snow should also make sure his car is ready for winter. Making sure one’s car is ready for winter normally includes getting the oil changed. It may also include making sure that antifreeze is up to the proper level. If the car’s heater no longer works, it is also a good time to replace the heater. There are many other problems that can cause a car to not heat properly, including the heater core. Replacing a heater core is a difficult repair, and it is one best left to a professional. Someone who is not a professional should not attempt to do it alone.